Comita Group of Companies carry out broad social programs and also active conduct charitable activities in Russia and Europe. One of the considerably projects was also the support for the Russian Chapel in the Julian Alps (Vrsic Pass, Slovenia) built in 1916. In 2015 at the Chapel pass the devote celebration with participation of Prime Minister of Russian Federation Dmitry Medvedev. In 2016 on occasion of 100th anniversary of the foundation Russian’ Chapel, Russia and Slovenia issued a conjoint postage stamp. 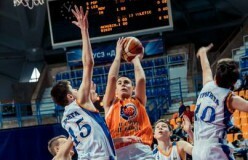 In May 2016 on the eve of Victory Day with the active participation of the Comita Group of Companies in Moscow passed first International basketball tournament between the best children’s team of Russia and Serbia – “Friendship cup”. The organizers intended this event as a support for the development of mass youth sports and the progressive development of social and cultural connection between countries, also that this event become an annual performance. Every year a bit before the New Year celebration, already several years ago, the employees of the Group taking part in social action – the assemblage of charitable aid for the pupil of Luhtomsko children’s home, in region Vladimir. 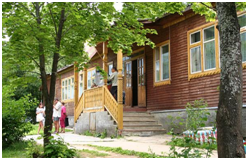 Comita Group of Companies took part on repair works and urban renewal and also made full replacement of streetlight in Sanatorium-health complex “Children’s Republic Polenovo” in Zaoksky district of Tula region. Furthermore, Comita Group of Companies support more than 30 sports, educational, humanitarian and non-governmental organizations in Russia, Greece, Slovenia, Serbia and other Balkan countries. 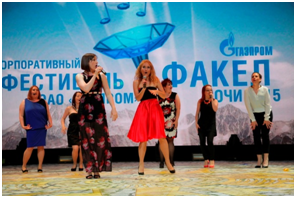 The festival “Fakel”(Torch) PAO (PJSC) “Gazprom”. Comita Group of Companies together with the companies belonging to “Gazprom” group is active member of large-scale project – The Сorporate Festival Of Creative Collectives “The Torch”. Musical groups from Slovenia which took part on Festival thanks to invitation of Comita Group of Companies, had excited the audiences with their original music of Slovenia.